My Curly Girl is three! So being the DIY mom I am, I just had to come up with a cute cupcake decoration to send to daycare with my girly! 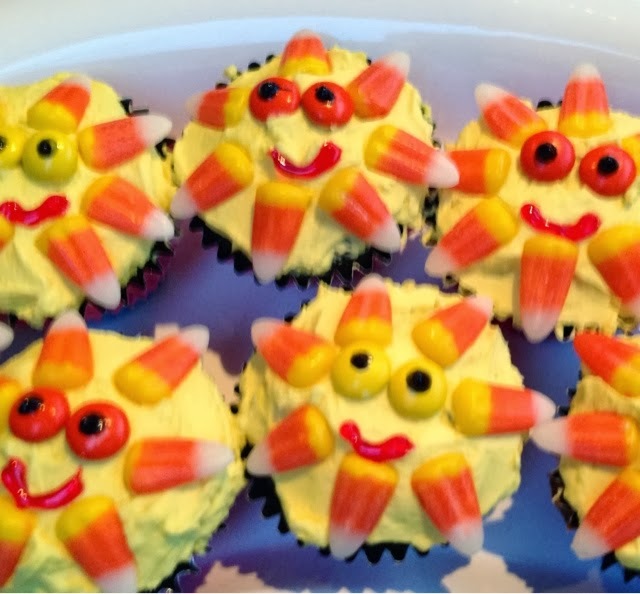 Sunshine cupcakes made with yellow frosting, candy corn rays, M&M eyes and a gel frosting mouth. 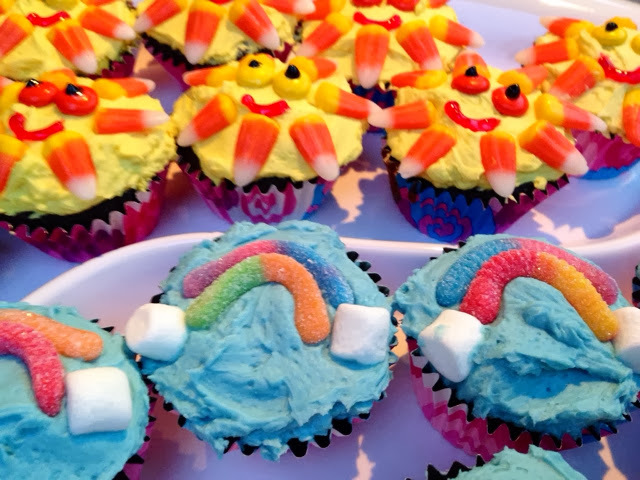 Rainbow cupcakes made with blue frosting, "Brite Crawler" gummy worm rainbow and marshmallow clouds. 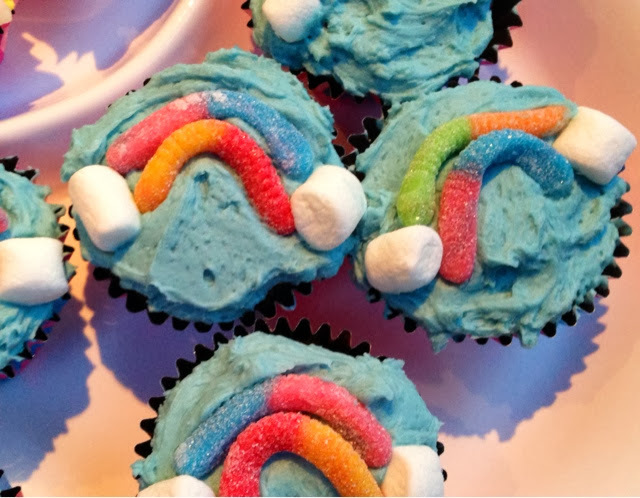 Homemade frosting? Of course! Why go for that canned stuff when making homemade is as easy as 1-2-3! Whip the ingredients together until light and fluffy. Adjust ingredients as needed (more sugar for stiffness, more milk for fluffiness). Drop in food coloring a few drops at a time until you reach desired color, if needed. Happy birthday, my girl! You bring me sunshine and rainbows and everything lovely to my life each day!